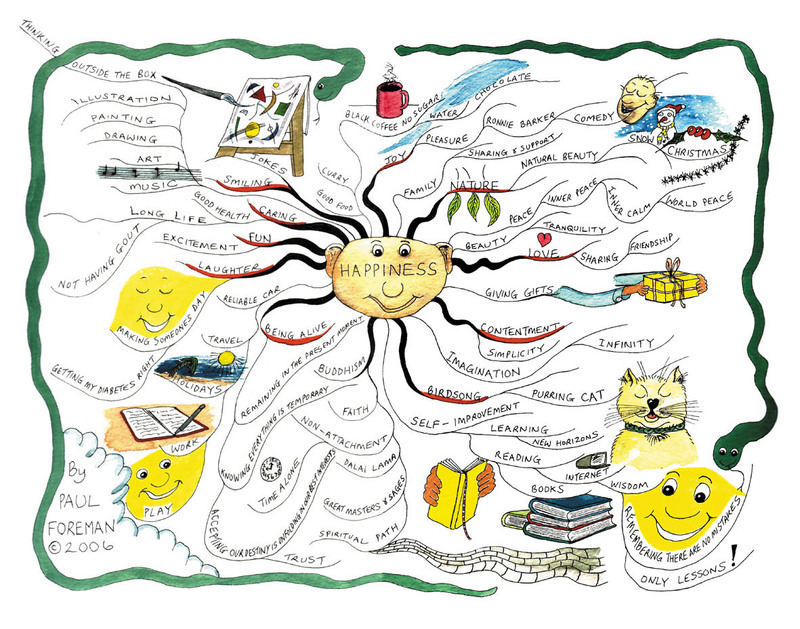 Welcome to part 2 of Your Brain and the Art of Happiness. In the Buddhist tradition there are four factors – wealth, worldly satisfaction, spirituality and enlightenment – which create the totality of an individual’s quest for happiness. Good health and a close circle of friends are also important but the door into all of these things is your state of mind. Your state of mind is not only necessary to create all the experiences in your life but also the filter through which you view them. Without a disciplined mind you are not really in control of what you are doing nor can you be independent of events. The real source of happiness is the control of your consciousness as observed in a calm mind or one engaged in meaningful work. These activities equate to happiness. A basic way to happiness is to cultivate affection and a sense of connection with other human beings. Even if you loose everything, you will have this. The Dali Lama often remarks that while he lost his country, he in a way gained the whole world. This is because he had the ability to bond with others quickly. Always look for what you have in common with others and you will never really be lonely. No matter how powerful they may seem – negative emotions and states of mind have no foundation in reality. They are distortions stopping us from seeing things as they really are. We have only to experience the shame and embarrassment after loosing our temper once to appreciate this. In contrast, when we experience positive emotions we get closer to the true nature of the universe and how we could be all the time.